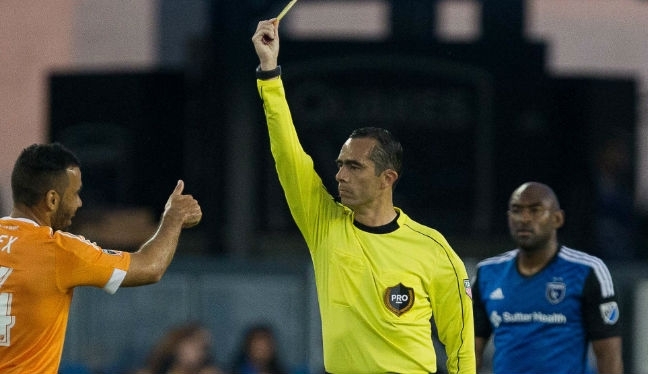 PRO’s Jaime Herrera has taken the decision to retire professional refereeing. 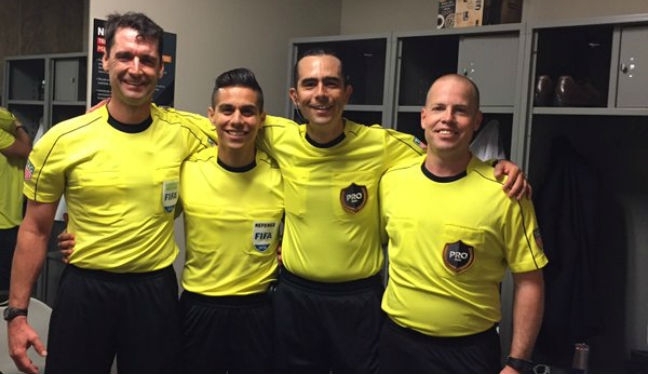 The 40-year-old was introduced to the MLS middle this season, making five appearances, and that was a key accomplishment in a distinguished officiating career. His journey will now move onto CONCACAF, after becoming the Manager of the Confederation’s Refereeing Department. PRO General Manager Peter Walton said: “Jaime had been on PRO’s list of officials for only a short period, but his ability both on and off the field was there for all to see. It is with a measure of satisfaction that I have decided to retire from being a professional referee. It has been a privilege being able to do what I love for 22 years. I leave the profession with peace of mind in knowing that I have given my best and that I achieved all that I set out to do. I came to this country a few years ago with the firm aim to referee in Major League Soccer (MLS), a goal that I saw crystallized this year. But it was always very clear in my mind that once I achieved this goal, that I would be prepared to move onto another phase of my life. Part of my decision is forced upon me by my own integrity and professionalism. With the confidence I have in the young referees in this country who are coming to MLS and FIFA, it is best that I step aside and allow the new and better talents the chance to emerge. I am a flexible person, yet determined and with full conviction on what I want and where I’m going. A person who is constantly looking for new challenges and objectives. In a nutshell, a person who always pursues his dreams and follows the dictates of his heart. While I will not whistle anymore, my passion for officiating and my love for the sport remains unchanged. I am extremely fortunate that I will be able to pursue those loves as I have been appointed the Manager of CONCACAF’s Refereeing Department. Undoubtedly this represents for me one of the most important challenges of my life. It will be an honor to work for my Confederation, and to do it with the best referees in the area. It will be a big challenge to help young referees achieve their dreams as I have achieved mine. I am fully committed to them. I want to deeply thank New Jersey Soccer Referee Committee (NJSRC) and all of its members for giving me the opportunity to get started in the U.S. as a referee. I also want to thank U.S. Soccer and its refereeing department. It certainly was an honor and a privilege to wear the badge of the Federation on the field and to represent all of you. My gratitude to Major League Soccer (MLS) for giving me the opportunity to fulfill the dream of refereeing in what is, for me, the best league in the world. And, of course, thanks to the Professional Referee Organization (PRO), responsible for managing the future of the referees in U.S. and Canada. I especially want to thank all the referees with whom I had the opportunity to work during these years. Thank you for your patience, your confidence and your support. I would have achieved nothing without you. I wish each of you only the best as you enjoy the most beautiful profession in the world. Finally, thanks to my parents, my sister, my niece and all of my friends who helped me to realize this dream. Also, to my anonymous team that was always beside me. Your trust, support and unconditional love is priceless.